I not only wanted to create a film, I also wanted to create the distribution system for the film via a website. Such a site would then enable me to contextualize the film in culturally appropriate ways, explaining the complex history that made such a film possible. Additionally, the site could help educators use the film in the classroom. 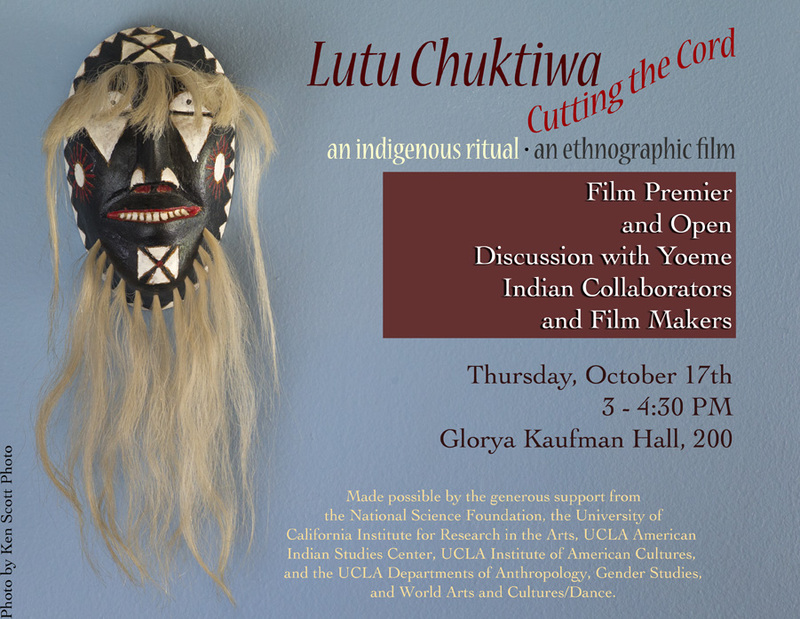 The site for Lutu Chuktiwa, then, is more than the film: it also provides a space for learning about and discussing the film. ​I wanted to create a site that could be an archive of language learning materials, that would entice language learners to come back and work with the language, no matter how much or how little, and that would provide a means for interaction between people of various communities. Perhaps some bonds could form that would lead to meeting face-to-face someday. Perhaps a high school student could devote a little time to learn five Yoeme words a week. 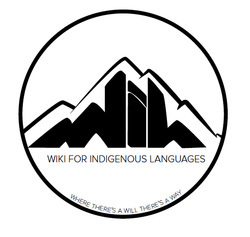 Perhaps the language teachers in the communities could come to this site and use it to download worksheets, or direct their students here to complete homework assignments. You can read more about this WIL project in the section entitled "News!" on this site, or simply click the image on the left. In 2007, the Hemispheric Institute asked me to curate an on-line exhibit of all their digital materials pertaining to native peoples across the Americas. This module, The Indigenous Americas is currently available to member institutions through the Hemispheric Institute website. Click HERE to visit the log-in page of the curated media. "Cyberspace may be the only territory not rightfully belonging to an aboriginal community. Yet this collection attests: the future is going to be native. Under the ever-expanding lens of indigenous realism (aka, the surrealism of not being a settler/colonialist), we are able to see the connections between theatrical productions and people taking “to the street.” Storytelling becomes part and parcel of remembering the disappeared ones under dictatorial regimes. Indigenous rights are performative whether they are grounded in myth, ritual, or symbol. This special collection surveys said ground and begins to map the contours of an aboriginal cyberplace." This digital publication draws from Yoeme Indian language and aesthetics in order to demonstrate how one tribe in Mexico combines religiosity, indigeneity, and ritual performance to assert sovereign control over their homeland. In collaboration with Yoeme people from several pueblos, the web designers work here to speak with both community member and non-Yoeme people about the politics of representation. In this virtual territory of the internet, come see how we have planted seeds of indigenous collective memory and ethnographic performance. To visit this site, please click here.